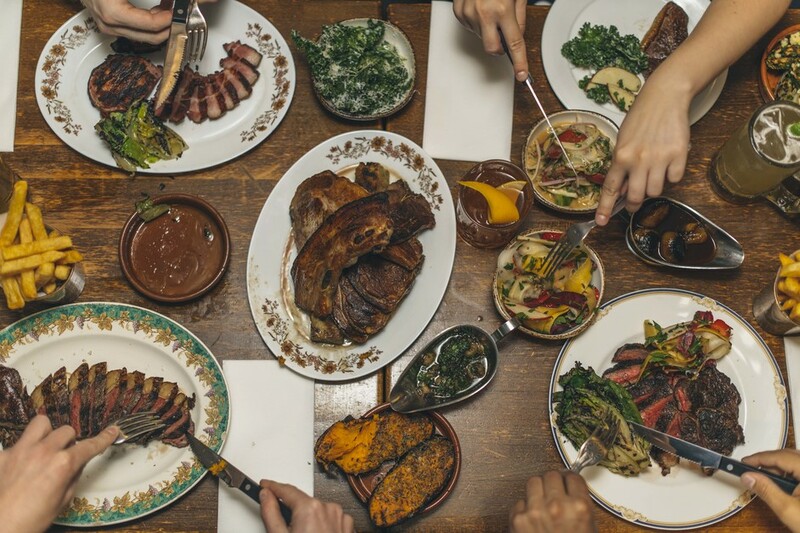 Set in a former Victorian warehouse on Rivington Street where Rivington Grill used to be, Blacklock Shoreditch brings quality chops, steaks and sides to East London. If you've been to Blacklock in the City or Soho you know the deal. Meaty treats are cooked over charcoal and aided by a vintage Blacklock Foundry iron - hence the name. This branch also gives Sunday Roast fans a reason to visit: the OFM award-winning Blacklock Sunday Lunch is available here (so avoiding the two month waiting list for the same deal in Soho). Choose between 55-day aged beef rump, Cornish lamb leg or Middlewhite pork loin (served with all the trimmings, including the famous bone marrow gravy). Can't choose? T ry them all for just £20 a head. A large, separate bar gives you a bespoke cocktail list, curated in partnership with one of New York's hottest speakeasy bars, Slowly Shirley. The drinks menu is full of reimagined classics, starting from just a fiver. Blacklock Shoreditch gyms, sporting activities, health & beauty and fitness. The best pubs near London Blacklock Shoreditch. Blacklock Shoreditch clubs, bars, cabaret nights, casinos and interesting nightlife. Where to have your meeting, conference, exhibition, private dining or training course near Blacklock Shoreditch. From cheap budget accommodation to luxury 5 star hotels see our special offers for Blacklock Shoreditch hotels, including Ace Hotel London Shoreditch from 84% off.